Lynch has gone and done it again. The biggest clue to the lingering question of Diane's alliance has been hiding in plain sight this entire time. Some might claim it is coincidence, but I truly disagree. 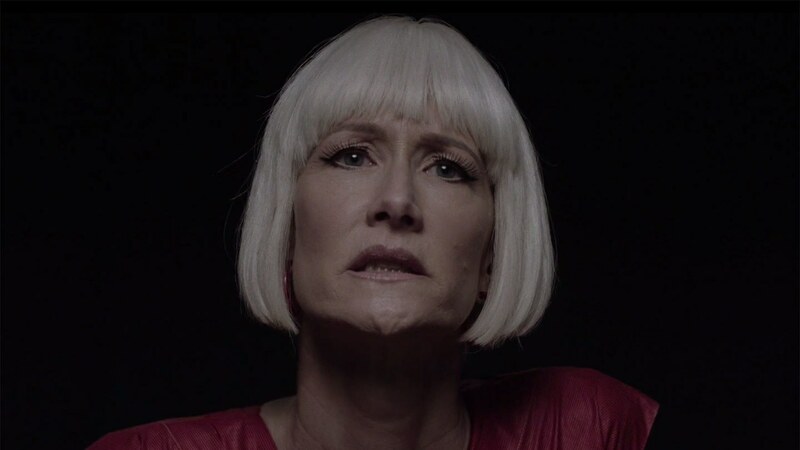 Something as bold, identifying, and novel as her haircut was chosen carefully to define her personality and separate her from the rest of the cast, and truly could not harbor unintended meaning/clues on this scale. Her hair is a bob cut. A BOB cut. The hilarity of this blatant clue has left me laughing at my own oblivion all day. Mind > blown. This really seems like a big clue... I hope that her allegiance changes back to the good guys, though. She will be a hell of an ally. 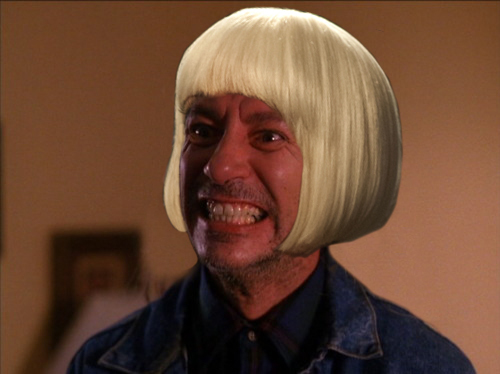 I hope so too, but I think Diane will look stupid with The Cooper hairdo. And her hairs white like Lelands. Yup I like your theory and I'm grasping for more ?? I just don't see it. She may be full of Bob, but her hair isn't speaking to me about that at all. Cool theory but I really think it's a fish of a different colour. Red, most probably. Entirely possible. The maddening / fun part of TP is that almost ANY little detail invites speculation as to meaning, if any. Bit of a stretch, seem unlikely. I will happily wait and see how it all unfolds. I think it's a brilliant observation. The bob hairstyle has been right in our face all along and we've been focusing on her fingernail and bracelet colors. It could be a red herring but there's no questioning that it's a bob hairstyle. You gotta be kidding me! Says BOB, not me.? Well, that's fun. I don't think that is where it is going to end up, though. We know where BOB has been, until Part 8, at least. BOB was in Mr. C. We saw the Woodsmen pull BOB out of him after he was shot. Thank you!! Brilliant! I had that thought too!! I just wasn't sure I was correct about what a "bob" cut is. Between this and the Leland-white color, she must have some BOB in her. ... Does this mean BOB roams between Mr. C and Diane thanks to insemination? Did BOB actually roam between Leland and Laura thanks to... [disgusting topic]? Laura didn't have that color hair, but she did have some freaky scenes in FWWM, and we never saw her character in TP1 and 2. Mr. C on the other hand, whether or not he's got the BOB in him, he seems to be just plain evil. 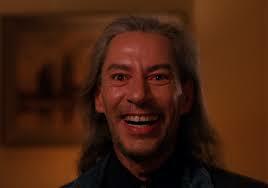 It's so weird to think of Twin Peaks evil existing without BOB. What the hell is goin on ?! I think an inhabiting spirit like bob needs permission (or some special circumstance) to enter a person the first time and then can come and go as he pleases thereafter. Leland, I don't believe, didn't carry Bob around with him 24/7. One would think Bob had more interesting things to do than go to work at the Great Northern with Ben and Jerry on a daily basis. Laura would rather die than grant Bob entry, and so she did. Bob killed her. I think her questionable behaviors as a teen were, in many ways, a result of being abused by her father/Bob for most of her life and not a result of supernatural possession. As for Diane and her bob hairstyle, I hope it doesn't imply that she's been possessed by Bob. We simply don't have enough information to go on yet. I'd love her to be one of the good guys because the good guys need more badass attitude like she brings, IMO.